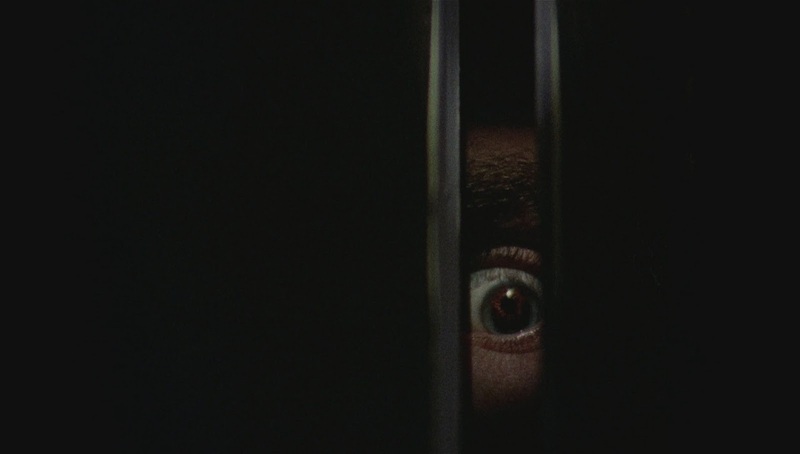 Bob Clark‘s Black Christmas seems to purposely rebel against, if not all, at least some of the standard conventions of the slasher movie genre. Carol Clover presents the components of a slasher movie as “killer, locale, weapons, victims, and shock effects” (26). 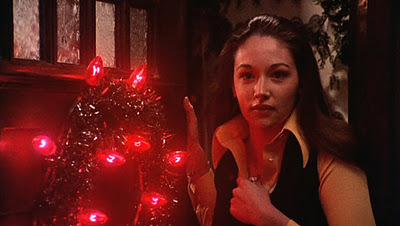 In Black Christmas we never find out who the Killer is or why he is killing. We see him observe the house and climb the trellis into the attic through the use of the I-camera, but other than his hands and a single eye, we never see the killer. We know little about him except that he is stuck in some past indiscretion, “Agnes it’s Billy. Don’t tell what we did Agnes.” I guess he could fall under Clover’s description of a monster “whose only role is that of killer” (30). 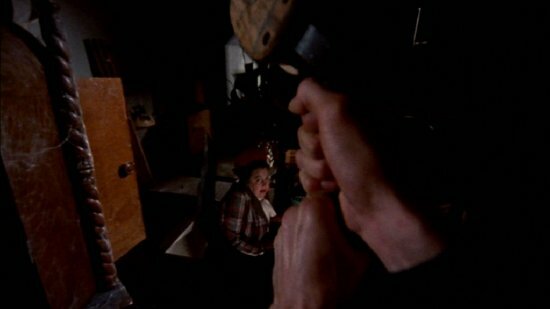 Although the killer hangs out in the attic and in facts kills one of his victims in the attic and the final girl ends up in the basement, most of the killings themselves do not take place in a “terrible place” (30). They take place in the relatively safe local of home and in at least two cases, in the victims own room. The killer in this film seems to take no thought in weapon, but, except for the cop, instead uses a weapon of convenience. The first victim is smothered by the plastic dry cleaner wrapping he is hiding behind in the closet. The second by a hook on a chin that happens to be hanging in the attic. 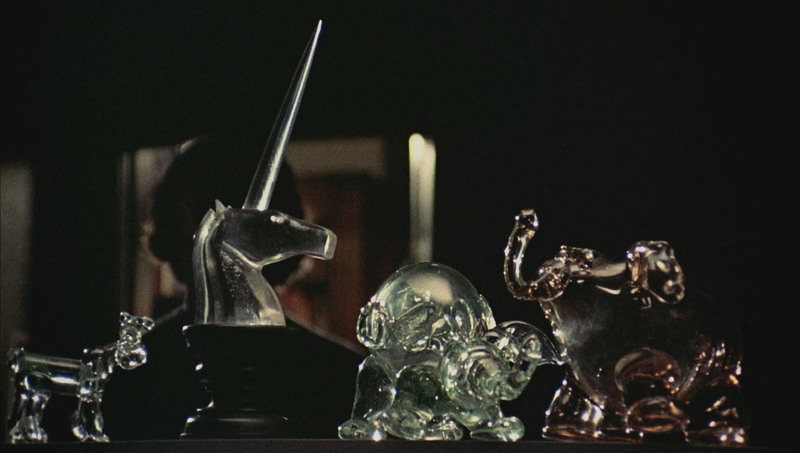 The third by a glass unicorn displayed on a self above the bed. He does keep in line with Clover’s “pretechnological” definition (31). The victims in this film are older than most. College girls and since they drink freely most likely in their early twenties. Also the first victim is not sexually active or engaging in any immoral activity. In fact, Barb labels her a virgin. The final girl is usually obvious from the beginning of the movie, but in this case I was sure that Barb would be the final girl in the beginning of the movie. She fit the description better than the others. Although most of the girls have adrogenous names, (Barb, Jess, Phyl) Barb is presented with a definite masculine feel. 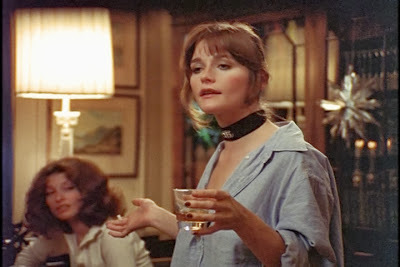 In the first scene she spends most of the time with a cigarette in one hand and a drink in the other. Her hair is pulled up and she is wearing a man’s shirt. She is the one who stands up to the pervert on the phone, but in fact, Barb turns out to be more like her name, a annoyance to everyone including the police. The true final girl is not only not virginal, she is pregnant and planning an abortion. She is also very feminine.